The Cassadaga Lakes are three interconnected lakes, located in northern Chautauqua County. All three lakes provide angling for largemouth bass, smallmouth bass, northern pike, muskellunge and several species of panfish. Public boat launching and fishing access is provided at a DEC operated site located at the north end of Middle Cassadaga Lake. Anglers should note that these lakes experience oxygen depletion below depths of 12 feet -15 feet from June-September. Largemouth and Smallmouth Bass Bass in Cassadaga Lakes are managed by DEC with a special regulation called a slot limit. This regulation requires anglers to release any bass they catch between 12 and 15 inches in length. Bass less than 12 inches and greater than 15 inches can be kept. The statewide daily creel limit of five bass and the 3rd Saturday in June opener is also in effect. This unusual regulation is utilized as a way to reduce the density of young bass and increase the growth rate for all bass, thereby increasing numbers of bass in the protected slot length (12 inches - 15 inches). 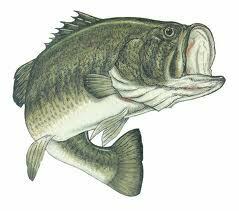 Also anglers will have the opportunity to harvest a trophy size bass (more than 15 inches). This regulation went into effect in 1994, and recent surveys indicate the regulation appears to be meeting its objectives. Cassadaga Lakes extensive, natural wetland shoreline offers excellent cover for largemouth bass and anglers shouldn't pass up these brushy shoreline areas. Bass anglers have success with spinner baits, surface plugs, plastic worms, crank baits and live bait, such as crayfish and shiners. Muskellunge, Northern Pike and Walleye Northern pike, which reproduce naturally, and muskellunge, which are stocked as fingerlings by DEC, provide anglers with the opportunity for a true trophy. Muskellunge in Cassadaga Lakes can exceed 40 inches in length, while northern pike over 30 inches can be caught. Large, live minnows and 8 inches - 12 inches imitation baitfish lures will take some nice fish. Walleye are found in limited numbers in Cassadaga Lakes, but legal size fish are caught occasionally. Panfish Panfish provide plenty of action for the angler on the Cassadaga Lakes. 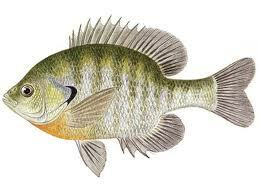 The most common species are bluegill, pumpkinseed, black crappie, yellow perch and brown bullhead. Panfish are caught year-round and ice fishing is a popular winter activity. Live baits such as minnows or worms usually produce the best catches, but small jigs and lures also work well. When sunfish are on their spawning beds in the spring, try using an 8 foot, 3-4 weight fly rod with surface poppers or wet flies. They can provide some fast and fun action. Bullheads are most active after sunset and can be taken using nightcrawlers or scented baits.